The Internet browser Firefox may soon be available in Quechua, Mozilla has announced on its Peruvian blog. The translation work will be crowdsourced, and you’re welcome to join the project if you can speak or write this language. As you may know, Quechua is a native South American language, which is widely spoken in the Andes. In Bolivia and Peru, it is an official language, and there are around 3 millions Quechua speakers in Peru, according to estimates. Yet, there is very little content available in Quechua on the Internet. As Mozilla points out, this is the result of several factors, starting with the limited access to computers, Internet and electricity in indigenous communities. This is a vicious circle, as the lack of content available in their mother tongue reduces the chances for Quechua speakers to make the most of Internet and improve their lives. On the other hand, it also means their voices and vision of the world don’t get heard. With that in mind, Mozilla is now partnering with a community called Runasimipi, a project to create open software in Quechua (also known as Runasimi). The goal of this partnership is to progressively create three language packs in Quechua – a basic version, a full one and a Firefox Mobile pack. “Our dream is that any Andean child who goes to a cyber-cafe in the future will have the option to see everything in his native language. Nowadays, many think that Rumasimi is only the tongue of the grandparents and can only be used with things of the past. Many children in the cities are ashamed to speak Quechua with their friends. They say that Quechua doesn’t work with “cool” things, especially the things of modernity and technology. 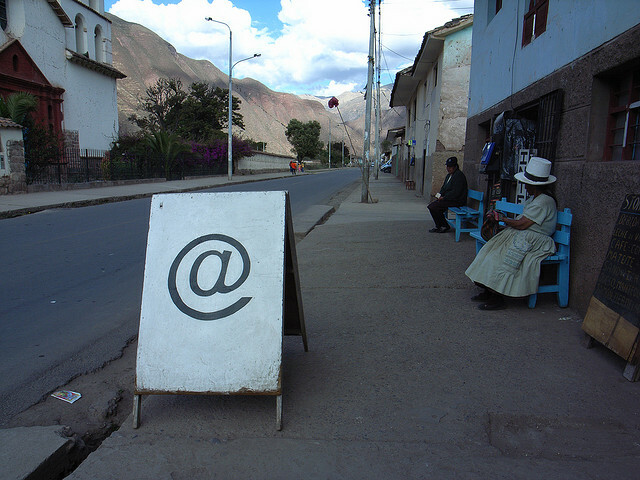 As the group notes, offering a browser in Quechua will also represent a competitive advantage for the local cybercafés. Known as ‘cabinas,’ they account for a large portion of Internet accesses in Peru.